Fresh asparagus wrapped in thick cut apple wood smoked bacon with a little chunk of smoked gouda tucked in. Topped with a creamy fried egg. If I had enough mimosas in me, I could have licked the plate. It was that good. It is now Monday night and despite a humongous-long-never-ending day, I’m feeling pretty good. The weather is getting warmer, summer is only four weeks away, and I’m going skiing for the first time tomorrow. I’m super nervous but super excited! A little Sunday lovin’ goes a long way for the other six days. Line a baking sheet with parchment paper. Trim the bottom 2 inches of your asparagus stalk, wash and pat dry. Divide asparagus into bunches of 4 pieces. Aline your asparagus bunches horizontally on a baking sheet and rub a light coat of olive oil, sprinkle with salt and pepper and wrap with one piece of bacon. Tuck your chunk of cheese underneath your bacon. Like a little bacon blanket, if you will. 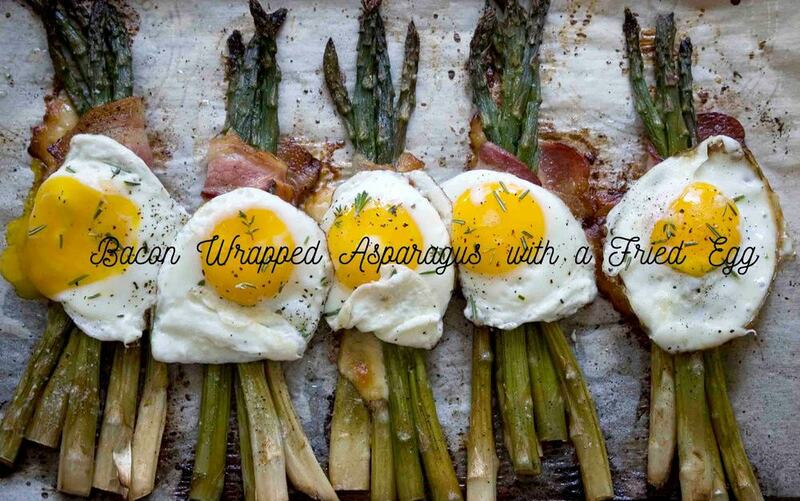 Place in the middle of your oven and bake for 20-25 minutes until bacon is cooked through and asparagus is tender. In a small saute pan heat up a tablespoon of oil on medium-high heat . Crack open your egg and cook for 4-5 minutes to your liking. 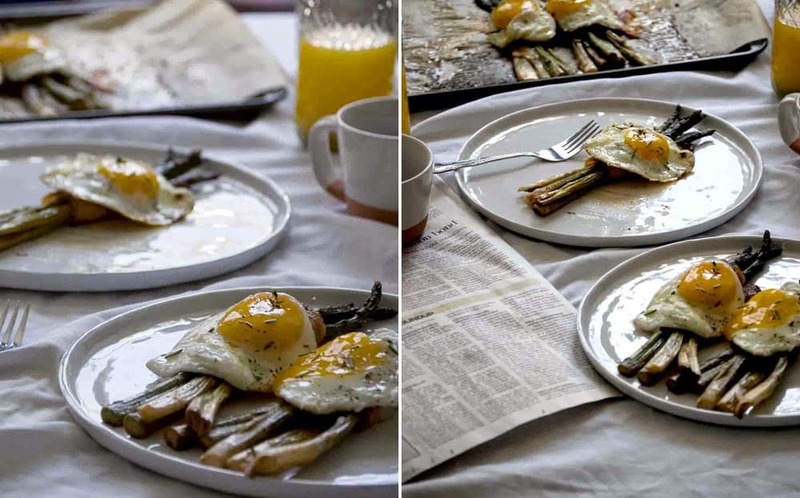 Top each asparagus with a fried egg. Sprinkle a few pinches of your favorite fresh herbs (I used rosemary and thyme).